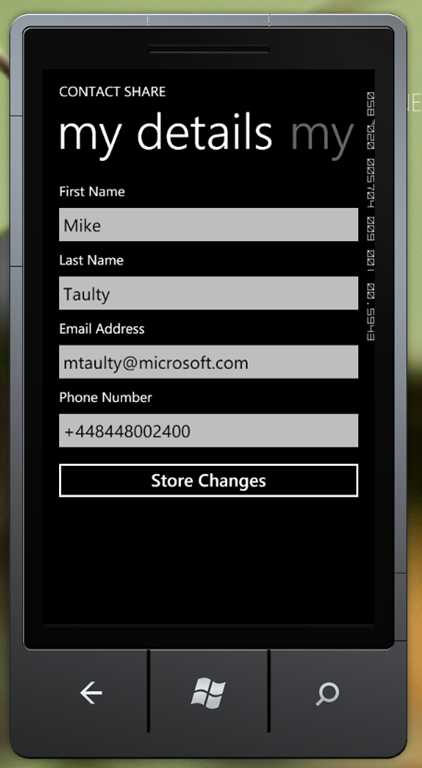 I wanted to have a bit of fun with Windows Phone 7 and so I thought I’d build a little application as a background task. One thing that I miss from previous phones is that scenario where you meet someone and want to quickly swap contact details. With previous phones there was a notion of “beam contact” which relied on an IR link but that seems to be old hat these days and so I thought I’d see if I could come up with something a little more “modern” that would work on the phone without requiring a cloud connection. 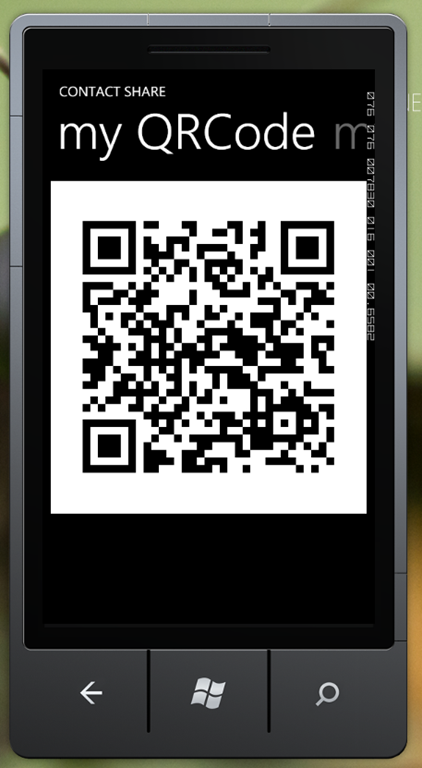 With that decided, I needed a library that would let me encode/decode QRCodes on the Windows Phone 7 and I very quickly found Google’s excellent zebra crossing library and a port of it over to the Windows Phone 7 and Silverlight over on CodePlex. With all that in place, I was ready to try and build a little app. It ended up working as below. 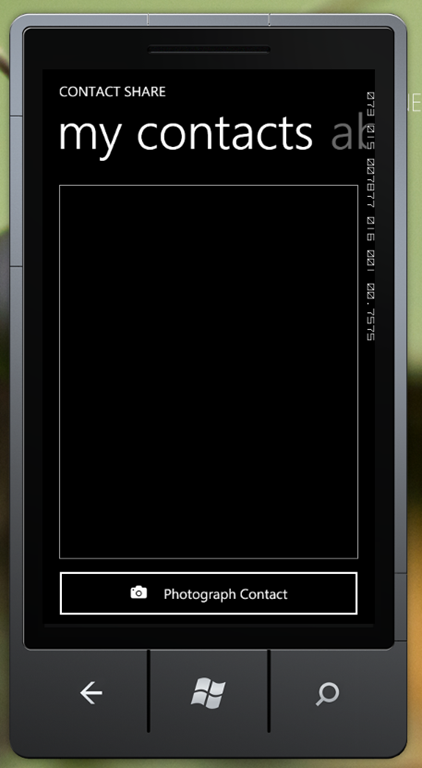 where’s there’s a button that will let you take a photograph and then import it as a contact. 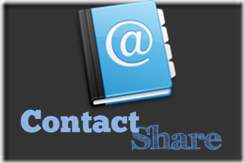 Once the contact is imported, there are context menus that let you save the telephone number or the email address that you just imported using the standard experience on the phone. The other way of importing a contact is to start with the camera, take a photo and then my app hooks into the pictures extensibility on the phone so that you can launch my app straight from the camera. You have to remember that it’s Silverlight 3 today (4 is coming ) so there were a few places where I felt that I wanted to use some feature (e.g. StringFormat on my bindings) and I couldn’t. Having to keep unlocking the phone to launch the debugger is a bit painful. Having to do the Zune/WPConnect dance every so often soon becomes second nature but it’s a step that it would be nice to be able to avoid. Not being able to “attach” to an existing process on the phone makes it kind of tricky to debug scenarios where you can’t just launch your app from the debugger. The specific scenario for me is extending the pictures hub where you can’t launch your app under the debugger. I did come across the idea of the debugging console though which was useful. Build a simple app with 2 pages that navigate to each other. And exercise your code until you fully understand when these events happen in terms of the lifecycle of the application on the phone. If you’re using launchers/choosers then you have to have specific instance variables on your PhoneApplicationPage class and then you need to find a way to route that work to your view models. You have to override OnNavigatingFrom etc. on your PhoneApplicationPage class so that means that you have to find a way of routing that to your viewmodels etc. You need to take some care with fonts, icons, brushes etc. so that they will work in different themes. Generally, I just stuck to the standard system resources but I did find this article on using opacity masks very useful. I found myself bringing in some of the Expression Blend samples library to try and support some of my bindings to events/commands – specifically the InvokeDataCommand that is part of that library. Direct access to the camera might be interesting. At the moment my app has to offer “Save Email” and “Save Phone” options because there are two separate tasks relating to this. 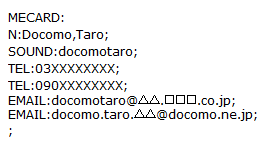 It’d be nice if the contacts access in ‘Mango’ would allow this to be streamlined a little. All in all – a lot of fun. It took me a few hours or so to put that app together but I daresay quite a bit of that was in trying to fathom out a few things on the Phone that I wouldn’t need to re-learn the next time around. 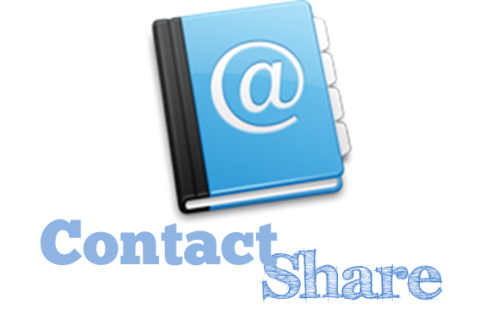 Let me know if you try it and find it working (or not ) – you can search for ContactShare on the marketplace to give it a whirl and, naturally, it’s free.